To read a more detailed analysis of these decisions published by Nutter soon after the decisions were released, click here. 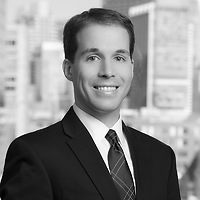 On May 15, 2014, the U.S. Patent and Trademark Office (USPTO) published rules to implement the patent term adjustment (PTA) provisions of the Leahy-Smith America Invents Act (AIA) and the AIA Technical Corrections Act, the latter of which was summarized in the January 2013 issue of the Nutter IP Bulletin. Under the new rules, the fourteen (14) month PTA period and the three (3) year PTA period are measured from the same date: the date on which an application was filed under 35 U.S.C. § 111(a) in an application under 35 U.S.C. § 111; or the date of commencement of the national stage under 35 U.S.C. § 371 in an international application. The rules also revised the provisions for notifying applicants of PTA determinations and the time period for requesting reconsideration (now by the date of issuance of the patent, and by seven months from the date of notification, respectively) and judicial review of the USPTO’s PTA determinations and decisions (now 180 days from the date of the USPTO’s decision on the patentee’s request for reconsideration). 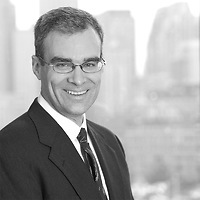 The new rules do not come as a surprise—rather, they adopt the interim rule published April 1, 2013, which are discussed in greater detail in an article from the May 2013 issue of the Nutter IP Bulletin. In connection with the new rules, the USPTO is also providing an optional procedure for requesting a recalculation of PTA, as an alternative to the usual petition and fee otherwise required to request reconsideration of a PTA determination, for patents issued between January 14, 2013 and May 20, 2014 that resulted directly from international applications. This is because the USPTO used an incorrect fourteen (14) month/three (3) year date. Owners of patents issued during this period should consider using the USPTO’s optional procedure for requesting a recalculation of PTA, rather than a petition. Practitioners and patent owners should also ensure that proper PTA calculations are occurring for patents issued after May 20 as well. To review the new rules in the Federal Register, click here. As patent practitioners are well aware, U.S. patent examiners will issue a first action on the merits of a patent application as non-final and typically issue a second action on the merits as final. The finality of second actions is so universal that the finality of an action may be accepted as proper by a patent applicant when, in fact, the action was improperly deemed final. It therefore behooves applicants to always evaluate whether a final action on the merits was properly made final to have improper final actions withdrawn before the applicant incurs unnecessary costs and/or delays in prosecution. To review tips on evaluating the finality of USPTO office actions, click here. 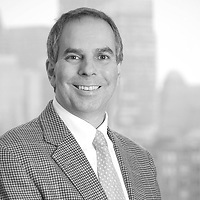 Nutter's IP Bulletin is a bi-monthly publication of the Intellectual Property Practice at Nutter McClennen & Fish LLP in Boston. Assistance in the preparation of this issue was provided by Rory P. Pheiffer and Joshua I. Rudawitz. For further information, please contact your Nutter attorney at 617-439-2000.